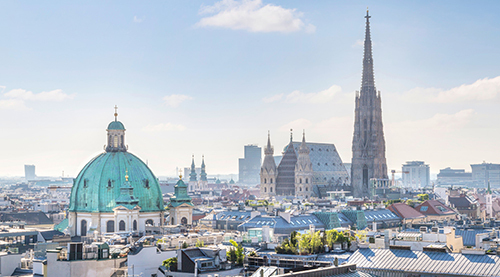 we would like to draw your attention to the Vienna Arbitration Days and the 7th Annual Bergsten Lecture. The University of Vienna and the Austrian Arbitration Association (Arb|Aut) cordially invite you to the 7th Bergsten Lecture which annually takes place in Vienna during the Vis Moot finals. The Lecture is held in honour of Professor Eric Bergsten, the "father" of the Vis Moot who had organized this event for more than 20 years. "The Importance of Dealing with Fraud, Corruption and Illegality in International Arbitration – the Evolution as a Legal Standard and Impact on Development"
The Lecture will be followed by a panel discussion chaired by Paul Oberhammer (Dean, Faculty of Law, University of Vienna) with Andrea Kay Bjorklund (Professor, McGill University Faculty of Law) and Florian Haugeneder (Partner, KNOETZL) as panel speakers. For further information and registration, please visit the Arb|Aut Website. With 230 participants from 30 countries, the Vienna Arbitration Days 2019 were a great success. The feedback we have received on the panels, the World Café and the discussions among delegates and panelists was extremely positive. Thank for your contribution of insights to this year’s conference. For photos of the conference, please go to the Arb|Aut website. Please join us again in 2020. Vienna Arbitration Days. 21-22 February 2020. SAVE THE DATE!